Aug. 26-27 Trent Harmon will be performing at Amplify Fest in Benton, Arkansas. @TrentWHarmon will be performing at Amplify Fest in Benton, Arkansas. Trent Harmon on Thursday, June 30th at 8:30pm at Legends Sports Pub & Grille in Green. WQMX Presents a Rising Star Showcase with Trent Harmon on Thursday, June 30th at 8:30pm at Legends Sports Pub & Grille in Green. FREE Show! General admission, seating is 1st come. 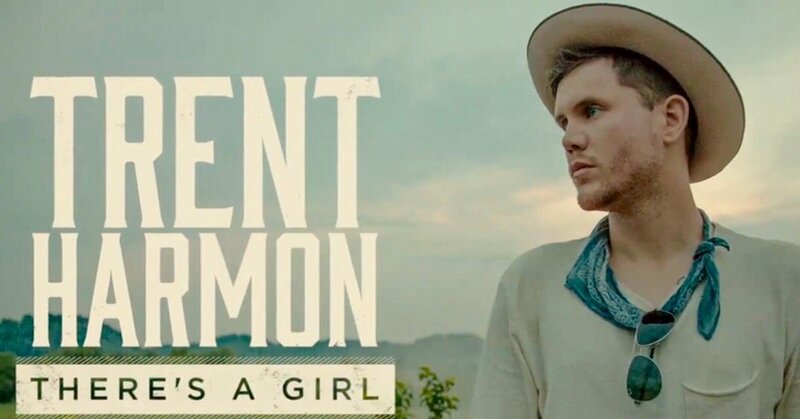 June 24th :Trent Harmon's new single "There's A Girl"
Since taking the title of American Idol during the final season, Trent Harmon hit the ground running and will showcase his efforts Friday, June 24 on FOX & Friends. Nashville, TN (June 20, 2016) – Since taking the title of American Idol during the final season, TRENT HARMON hit the ground running and will showcase his efforts Friday, June 24 on FOX & Friends. The Country crooner will perform his new single “There’s A Girl” on the outdoor stage for the All-American Summer Concert Series in New York City, headlining a FREE concert for eager fans. The set will include more of the fresh sounds he’s teased online through Facebook live. The Mississippi native officially embarked on his Country radio tour last week, sharing his charming sound with stations nationwide while also continuing to work on his Big Machine Records’ debut album. For the latest updates, follow Trent on Instagram and Facebook. ▼Trent Harmon,iHeartmedia _ Great interview!!!!! Idol winner Trent Harmon @BootGrill last night. See pics! Cowboys is OPEN for Family Sundays it's FREE & OPEN for ALL ages! @TrentWHarmon will also be here at 7:30! Trent Harmon live in the AlaTrust Bull Lounge. The American Idol does Chris Stapleton, Sia and his new single!! Trent Harmon in the ‪#‎iHeartRadioHSV‬ Listener Lounge! American Idol winner Trent Harmon Music is live in Lisa's Gold & Diamond Listener Lounge.